← Pregnant after 11 years! How “clean” are your beauty products? 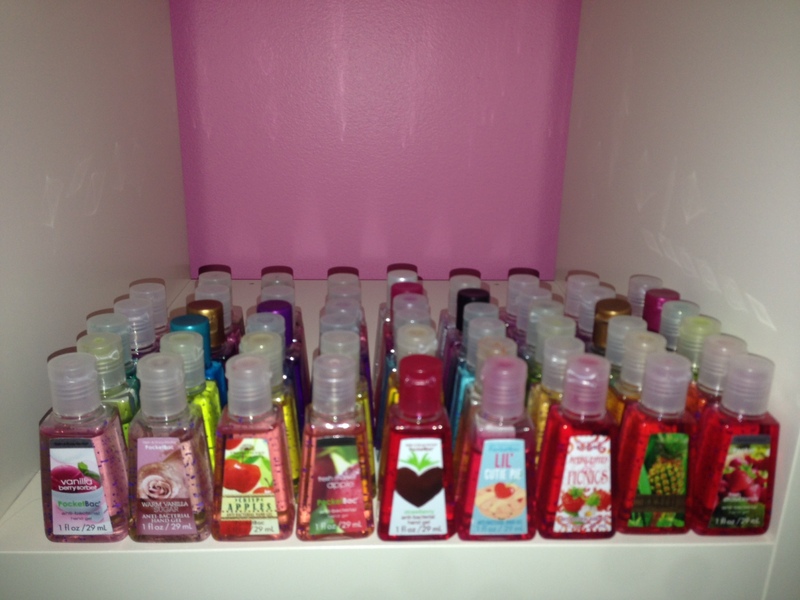 A few months ago, my daughter began collecting “pocket bacs,” the small, hand sanitizers from Bath & Body Works. Personally, I’m not a fan of the store- I feel like I get a headache from the scents just by walking in- but since she wasn’t actually using them (don’t even ask), I didn’t give it much thought. But then the obsession quickly grew to include their body washes and lotions, as well as body washes, lotions and bath bombs from other stores. 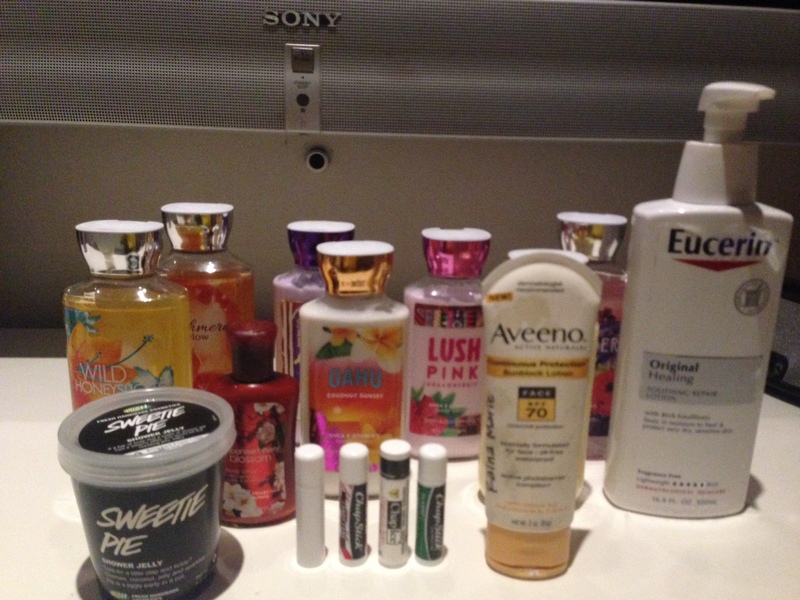 I decided it was time to do a little research to see just what was in all of these products. My first stop was Skin Deep, a great site where you can type in a product and get a rating on how good/bad it is based on the ingredients. The only problem was most of the products I was looking up weren’t on there. Hmmm. I needed to do a bit of digging. Have you heard of the “dirty dozen” for fruits and vegetables? Well, apparently there’s a list for chemicals too! 1. BHA and BHT– Used mainly in moisturizers and makeup as preservatives. Suspected endocrine disruptors and may cause cancer (BHA). In addition to coal tar dyes, natural and inorganic pigments used in cosmetics are also assigned Colour Index numbers (in the 75000 and 77000 series, respectively). Look for p-phenylenediamine hair dyes and in other products colours listed as “CI” followed by five digits.1 The U.S. colour name may also be listed (e.g. “FD&C Blue No. 1” or “Blue 1”). Potential to cause cancer and may be contaminated with heavy metals toxic to the brain. 3. DEA-related ingredients– Used in creamy and foaming products, such as moisturizers and shampoos. Can react to form nitrosamines, which may cause cancer. 4. Dibutyl phthalate– Used as a plasticizer in some nail care products. Suspected endocrine disrupter and reproductive toxicant. 5. Formaldehyde-releasing preservatives– Look for DMDM hydantoin, diazolidinyl urea, imidazolidinyl urea, methenamine and quarternium-15. Used in a variety of cosmetics. Slowly release small amounts of formaldehyde, which causes cancer. 6. Parabens– Used in a variety of cosmetics as preservatives. Suspected endocrine disrupters and may interfere with male reproductive functions. 7. Parfum (a.k.a. fragrance)– Any mixture of fragrance ingredients used in a variety of cosmetics — even in some products marketed as “unscented.” Some fragrance ingredients can trigger allergies and asthma. Some linked to cancer and neurotoxicity. 8. PEG compounds– Used in many cosmetic cream bases. Can be contaminated with 1,4-dioxane, which may cause cancer. Also for related chemical propylene glycol and other ingredients with the letters “eth” (e.g., polyethylene glycol). 9. Petrolatum– Used in some hair products for shine and as a moisture barrier in some lip balms, lip sticks and moisturizers. A petroleum product that can be contaminated with polycyclic aromatic hydrocarbons, which may cause cancer. 10. Siloxanes– Look for ingredients ending in “-siloxane” or “-methicone.” Used in a variety of cosmetics to soften, smooth and moisten. Suspected endocrine disrupter and reproductive toxicant (cyclotetrasiloxane). 11. Sodium laureate sulfate– Used in foaming cosmetics, such as shampoos, cleansers and bubble bath. Can be contaminated with 1,4-dioxane, which may cause cancer. Look also for related chemical sodium lauryl sulfate and other ingredients with the letters “eth” (e.g., sodium laureth sulfate). 12. Triclosan– Used in antibacterial cosmetics, such as toothpastes, cleansers and antiperspirants. Suspected endocrine disrupter and may contribute to antibiotic resistance in bacteria. Pretty scary stuff, not to mention overwhelming. I decided we’d start by going paraben and BHA/BHT free. 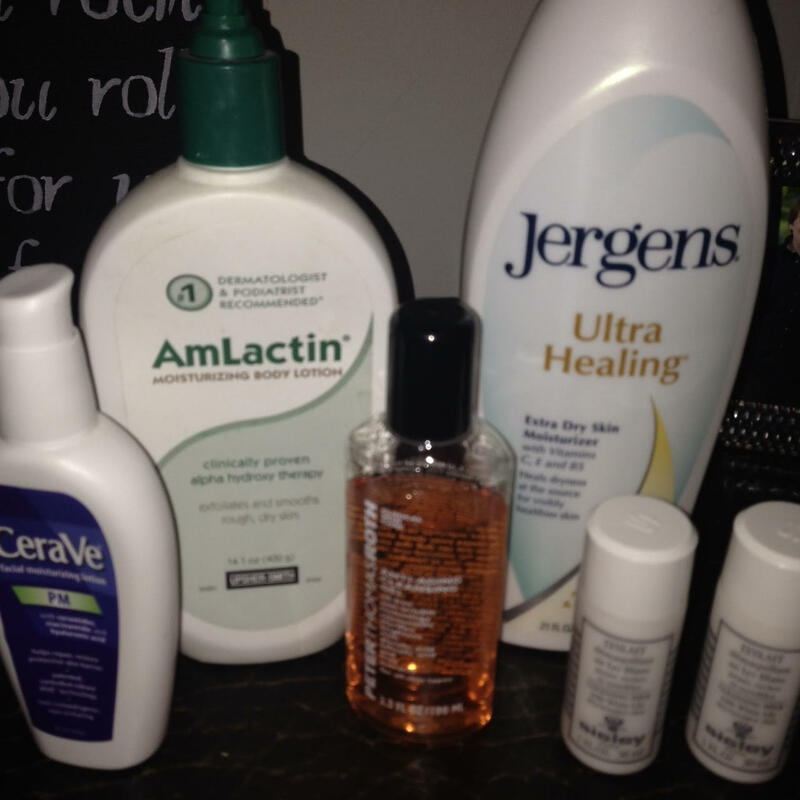 Her products that she will no longer be using. My products that didn’t make the cut. Do you have any favorite “clean” products? I’d love to hear about them! Looking for something fun to do in the city? Check out the Rosé Mansion!